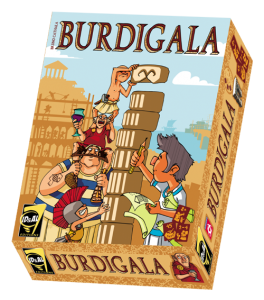 I was interested to read that a new (at least to me) publisher is releasing a game by Bruno Cathala at Spiel this year. 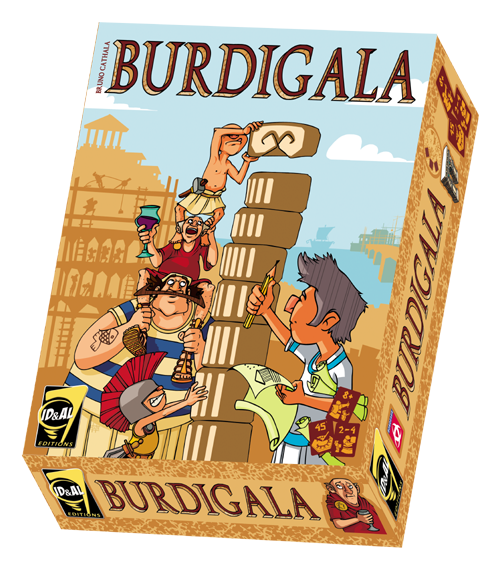 The game is Burdigala and plays 2-4 players. The setting is Bordeaux in 56BC and players are constructing the port town. The winner is the one with the most prestige points (PPs) which are earned by involvement in building construction, completing a building, merchandise and plot cards, So, fairly standard sounding stuff so far. However, the game sounds like it has some neat game mechanics.